If you recently bought the latest Xiaomi Mi A1 Android One phone and want to know How to Flash, Update, Unbrick Mi A1 Android One easily. Here is the guide in which you can learn how you can easily update your Mi A1, How to flash the Stock ROM on your Bricked Mi A1. Most of the time when you try to Root Mi A1 or Install TWRP Recovery on Mi A1 you phone stuck on the boot loop or you can say that the phone is soft bricked. So with this Guide, you can easily fix your Mi A1. Not only this guide helps you to fix the Bricked Mi A1, you can use the same to Flash the latest update on your phone or unroot your Mi A1. 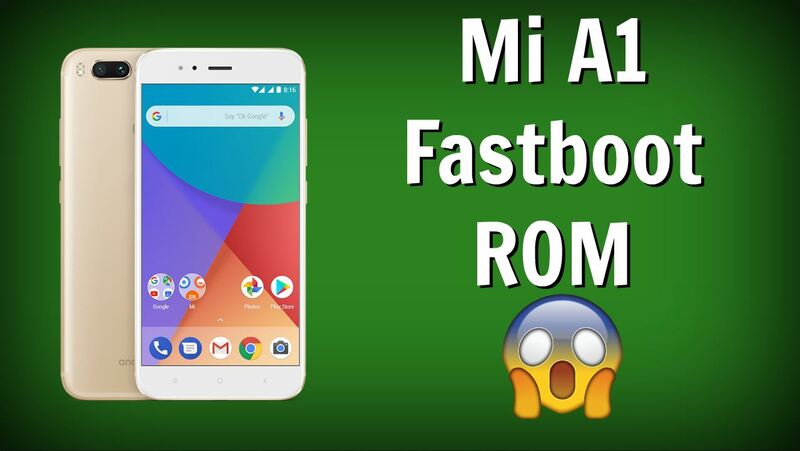 The guide is pretty simple and all you need the latest updated fastboot ROM of Mi A1 and the windows PC to install the Fastboot ROM on the Mi A1 phone. But before that, you need to unlock the bootloader of your phone to flash the update on your phone with the help of Mi Flash tool. You can check out our guide here how to unlock bootloader of Mi A1 Android One phone here. This guide is only for the Mi A1 users and don’t follow this method on any other Xiaomi phones. And yes, your personal data might be lost. Please think twice before flashing your phone and do it at your own risk. 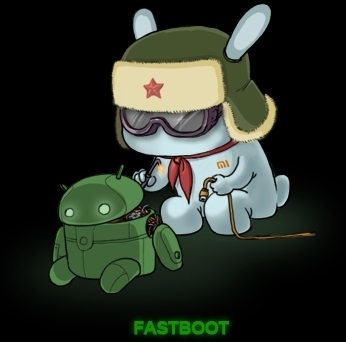 So let’s get started and Flash the latest fastboot ROM on Mi A1. Install the ADB drivers on your Windows PC here. 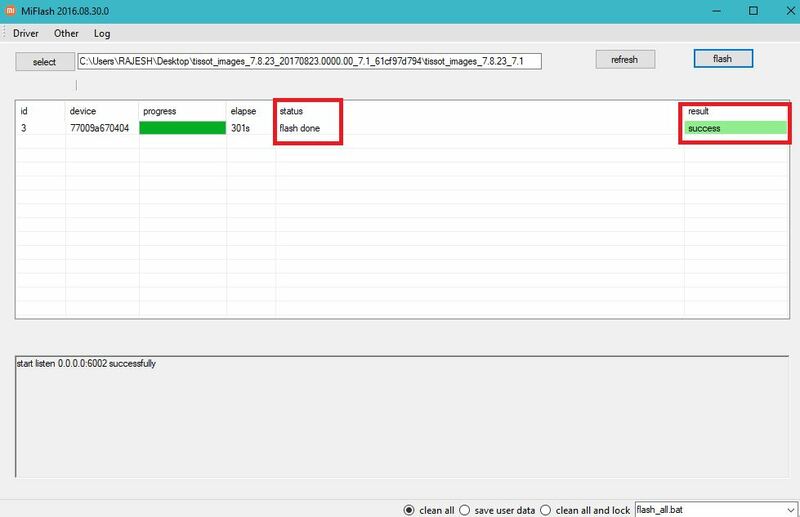 Download the Mi Flash Tool and install the same on your Windows PC. 1. 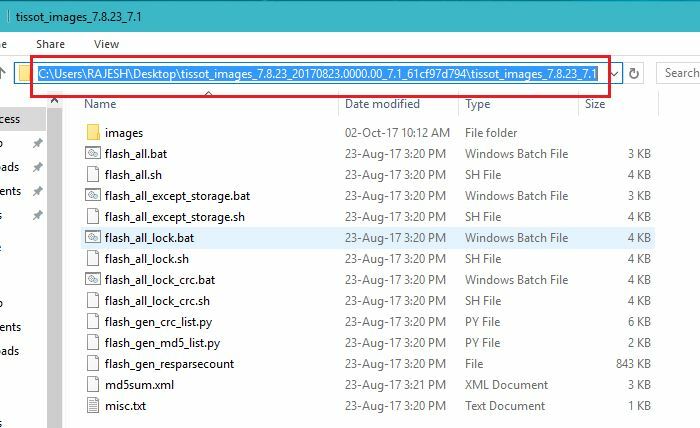 First, you need to unlock the bootloader of your phone, Is simple and all you have to run one command to Unlock Mi A1. 2. Once the bootloader is unlocked. Switch off Your Phone. Press the Volume Down key and the Power button at the same time to enter Fastboot mode. 3. Now your phone will boot into fastboot mode. And you will see the Fastboot screen on your phone. 4. Now unzip the fastboot ROM folder and then copy its path on the computer. See the screenshot below. 5. Open the Mi Flash tool on your Windows PC and Connect your phone to the PC with USB cable. 6. Now in Mi Flash tool, paste the path of the ROM. See the screenshot below. 7. Click on the first button (circled out in yellow) to Refresh, and MiFlash should automatically recognize the device. Then click the second button (circled out in red) to flash the ROM file to the device. And also enable the “Clean All” Option from the Flash tool bottom corner. 8. Now the flashing process will start on your phone and this will take some time to complete. 9. Once the Flashing process will complete you will see the success message on the Flash tool and your phone will automatically boot. So this is the best way to install the latest Fastboot ROM on your Xiaomi Mi A1. Hope you guys like this guide, if you are facing some problem with this method then leave the comments below and we will help you to fix it up. Thank! really appreciate this post.It was really helpful. 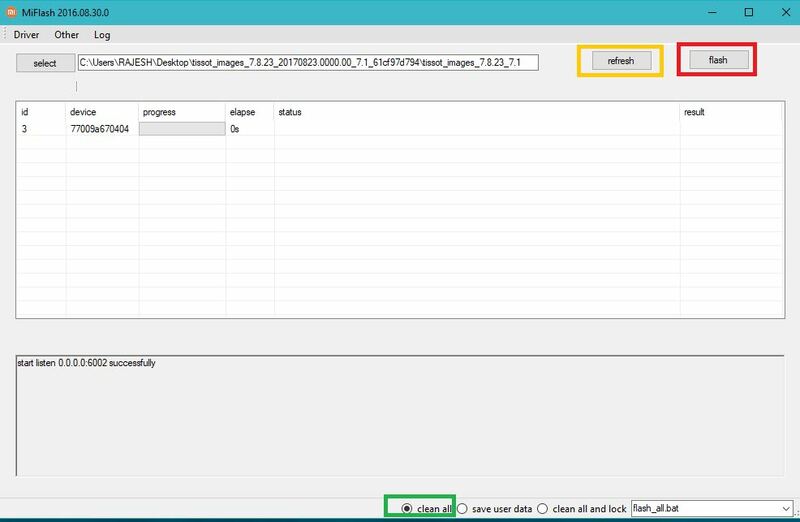 Shlwimg unspecified error – remote data too large.